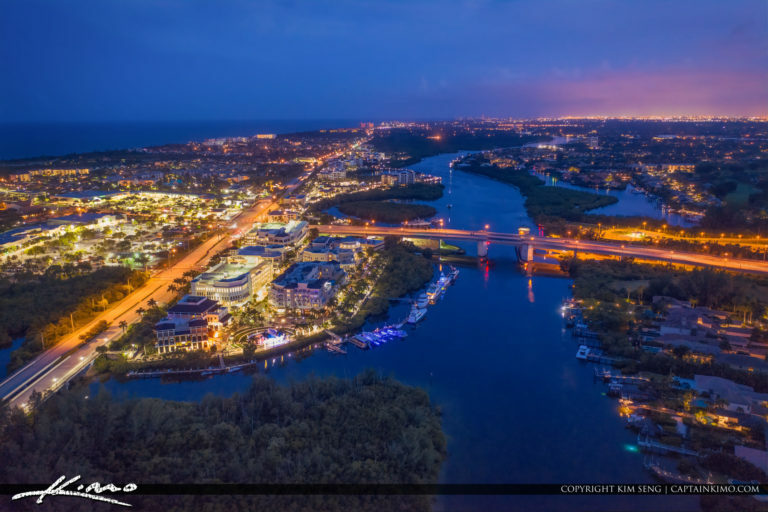 DJI Mavic Pro 2 nighttime aerial photography over Jupiter Florida along the waterway at Harbourside Place. Image processed using Lightroom and Topaz Products. 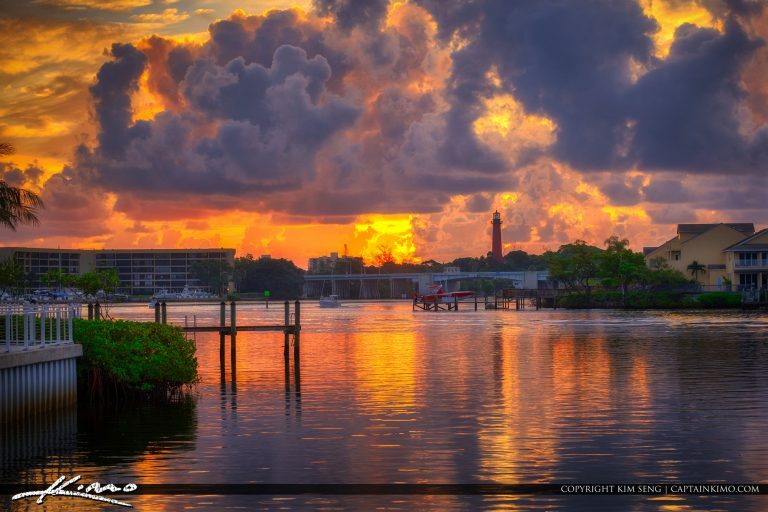 Gorgeous sunrise over the waterway at the Jupiter Inlet Lighthouse and Museum in Jupiter Florida. 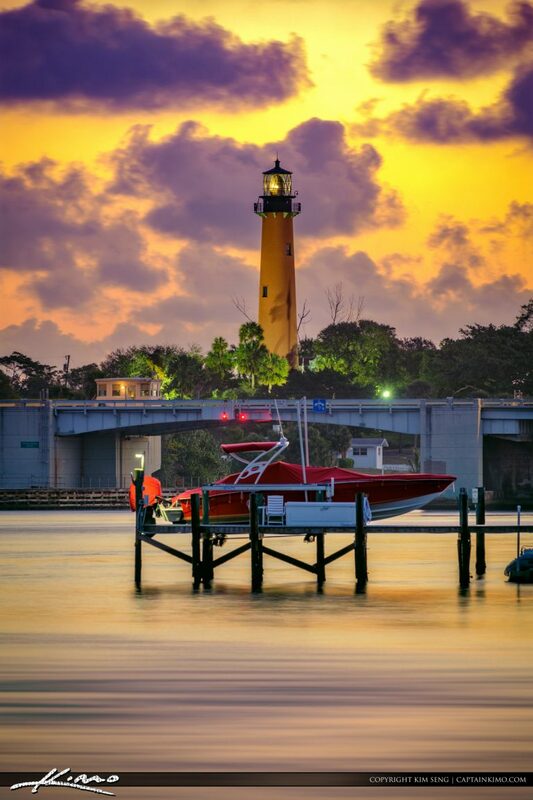 Photo taken from Sawfish Bay Park.